How is the clock synchronized to external time? How is time information transmitted from the SCN to the periphery? How does the clock coordinate physiological processes? To address these questions we use behavioral, physiological, molecular biological and (mouse) genetic experimental approaches. Protein kinase C gene activity in mouse embryos. Shown are in situ hybridizations for atypical PKCs on sections of mouse embryos at developmental day 14.5. Colored regions depict increased gene activity (e.g. nc – neocortex; kd – kidney). Detection of the clock protein BMAL1 in the murine nucleus suprachiasmaticus (SCN). 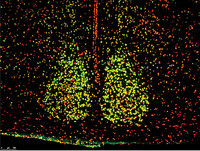 The neurons of the SCN harbor the mammalian circadian master clock. 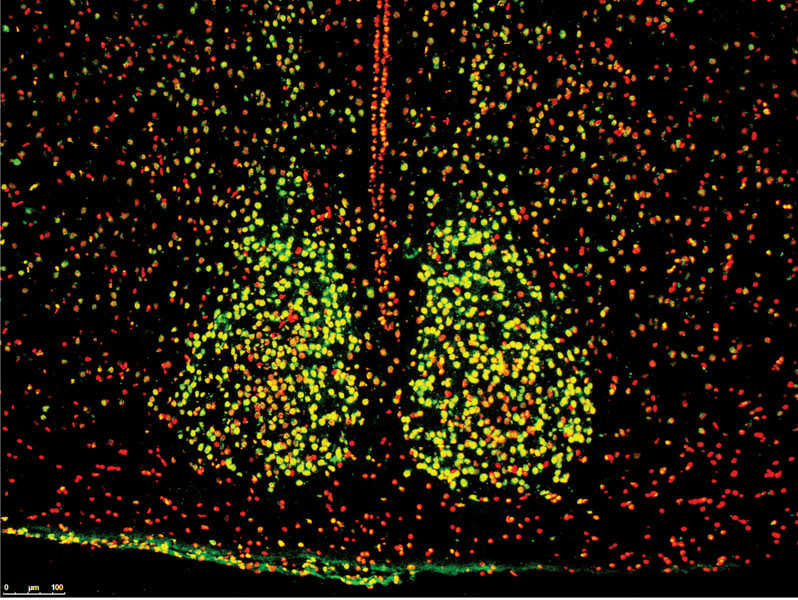 Almost all SCN cells express the essential clock protein BMAL1 (green or yellow signal; red: cell nuclei). 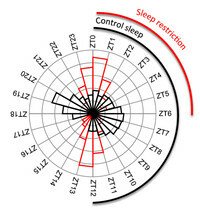 Distribution of gene activity in the livers of mice with normal sleep rhythms (black) and animals suffering from acute sleep restriction (red). 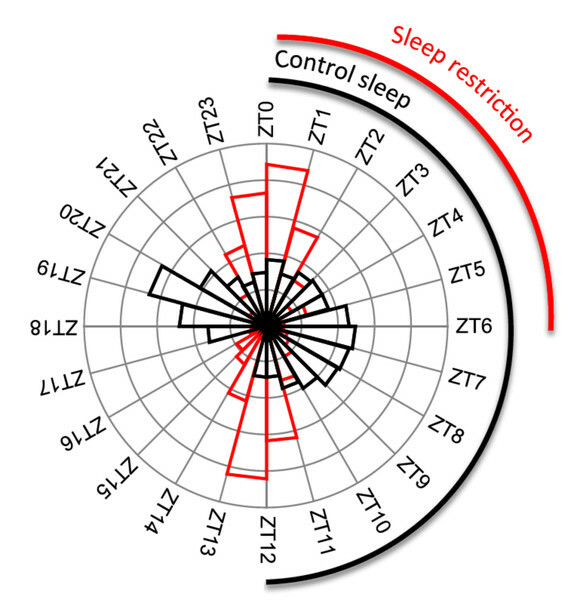 Under normal sleep conditions most genes show highest activity either around noon (ZT6) or in the night (ZT19). With restricted sleep this gene activity is shifted dramatically with peak activity in the morning (ZT0) and evening (ZT12).